Two names that are already familiar for the fans in the world of auto sport. Two young drivers, who have competed in two different categories of car racing so far, but they will begin their careers in Formula 3 together. A couple, of which both members arrive to Asia as champions with the goal to rise to the top. It has only been six days since BlackArts Racing, a professional team competing in the F3 Asian Championship certified by FIA, announced Viviven Keszthelyi as the team’s official racing driver for the Winter Series, not another news has emerged. 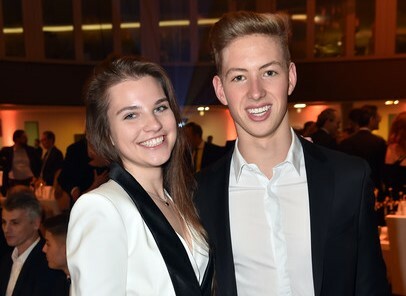 The 18-year-old Hungarian lady’s boyfriend, seven-time Formula 1 world champion Michael Schumacher’s nephew and former Formula 1 pilot Ralf Schumacher’s son, David Schumacher will enter the Asian F3 series as the member of another team. Keszthelyi has gained valuable experience in the touring car category so far, most recently she became rookie champion in the 2018 GT4 (Grand Touring) Audi Sport R8 LMS Cup. On the other hand, David Schumacher has built his career in the world of kart and formula racing. The 17-year-old German driver was the champion of the rookie category in the ADAC Formula 4 championship last year. The young drivers have been a couple for more than a year, and according to the plans, they will enter international Formula 3 championships in Europe separately as well. However, due to the weather conditions and the compatibility of the championships, both pilots management decided that the best way for them to gain experience in the F3 category would be in Asia. „Many of our close friends have asked us, how entering the same championship would affect our relationship. This is irrelevant, as both of us keep our careers in mind and it is essential for a professional racing driver to be able differentiate private life from racing. Besides that we would like to achieve the best possible results, we will have different goals for our first F3 championship. David already has experience in the formula category, his main goal will be to get to know to the car. Form me, it will be my first championship with a formula car, so I consider gaining experience, mastering the driving technique and preparing for the W Series to be the priority” – said Vivien Keszthelyi, who will become the youngest pilot and also the first female driver in the history of Hungarian autosport to complete a full season in the Formula 3 category.